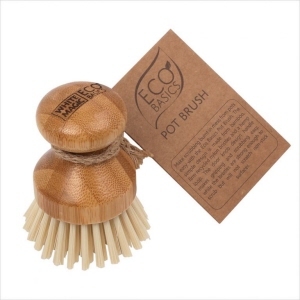 The bristles will not scratch non-stick cookware. The flat end of the brush is perfect for chiselling off burnt on mess. 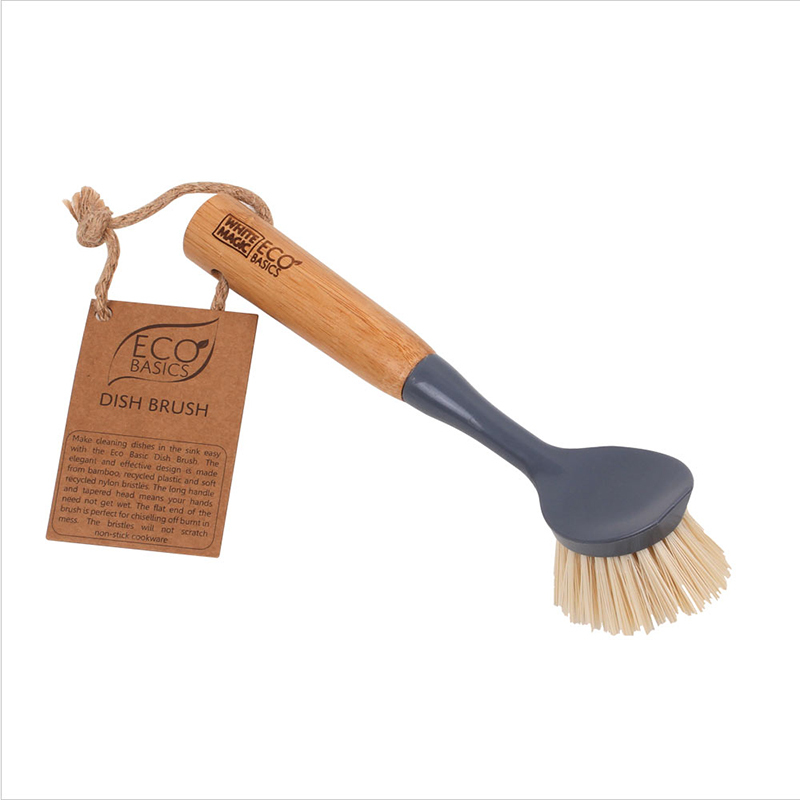 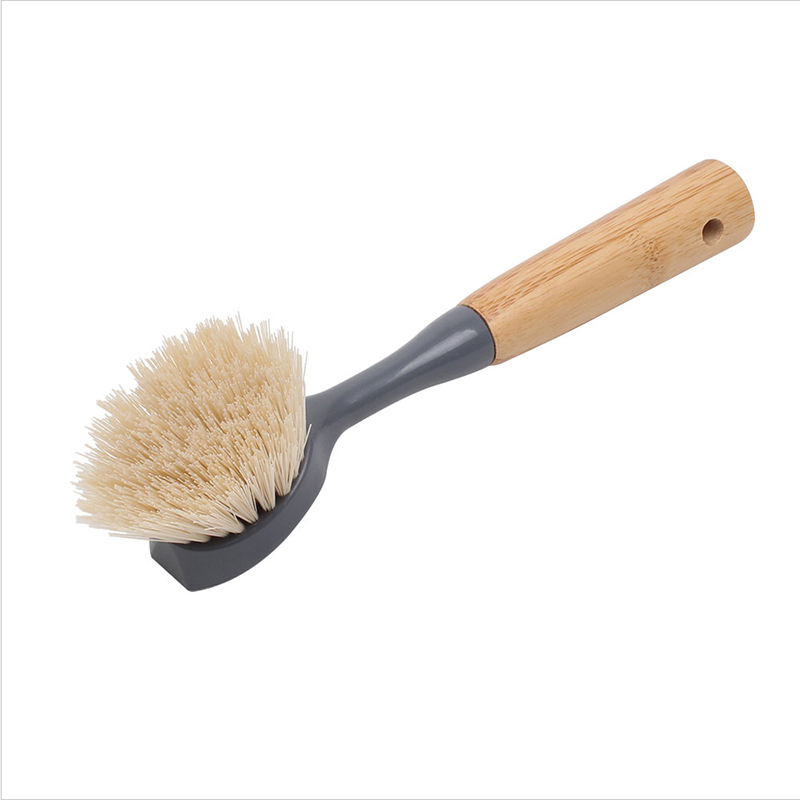 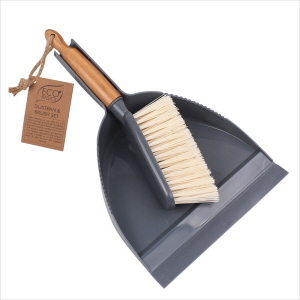 Its simple design is made from bamboo, firm recycled nylon bristles . Unlike dish cloths or sponges, the nylon bristles don't harbor bacteria plus they are easy to clean.